You can pretty much guarantee that a hot day here in the Sacramento area will mean a cool one in the Bay. Yesterday was no exception – it was a gorgeous day in San Francisco. It is a special treat to be able to escape from the heat so easily. We headed in to the city for a day of family fun. 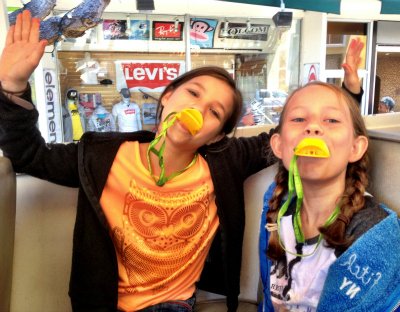 Of course we had to grab some hot chocolate at Boudin’s before anything else, but the real fun began when we boarded our “duck” for a Ride the Ducks tour and became little quack-ers. Our captain – Mr. Roger – first drove us around “his neighborhood.” He was hilarious from the start, and kept us all laughing. 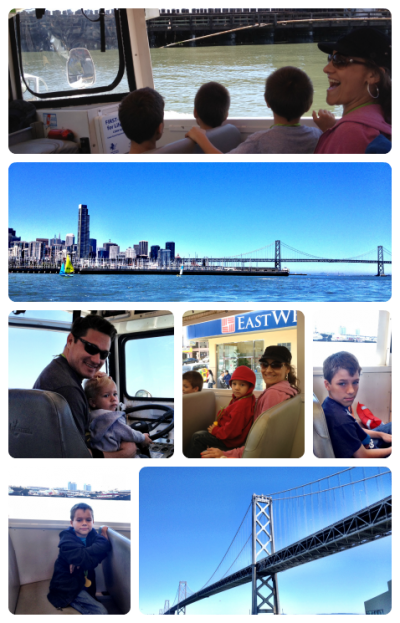 We got the grand tour of downtown, North Beach, Chinatown, Union Square, and more, before heading into the bay. Once we hit the water, Captain Roger let all of the kiddos (and even some of the adults!) drive the boat. Now, that was a HUGE hit! 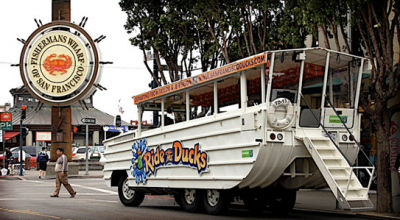 If ever you visit The City By The Bay we would definitely recommend a Ride the Ducks tour. Make sure you ask for Mr. Roger. And, tell him that “the big family with all the boys” sent ya! How fun! I’ve lived in SF for a number of years and hubby has lived there all his life until we moved across the Bay, but we’ve only been “tourists” a few times in SF…when we take out-of-town friends on tours. :p There is always something to do there. 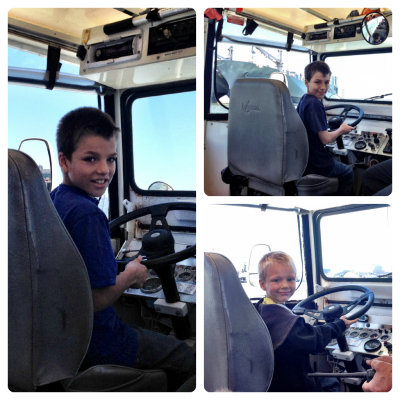 Maybe one day we’ll do the duck tour too. sara rose´s last blog post ..My baby’s 4 months! Great to hear that you have an exciting experience on a Ducks tour. I want to go to SF with daughter, after seeing all of these photos. Thanks for sharing and i’m looking forward to read more from you!